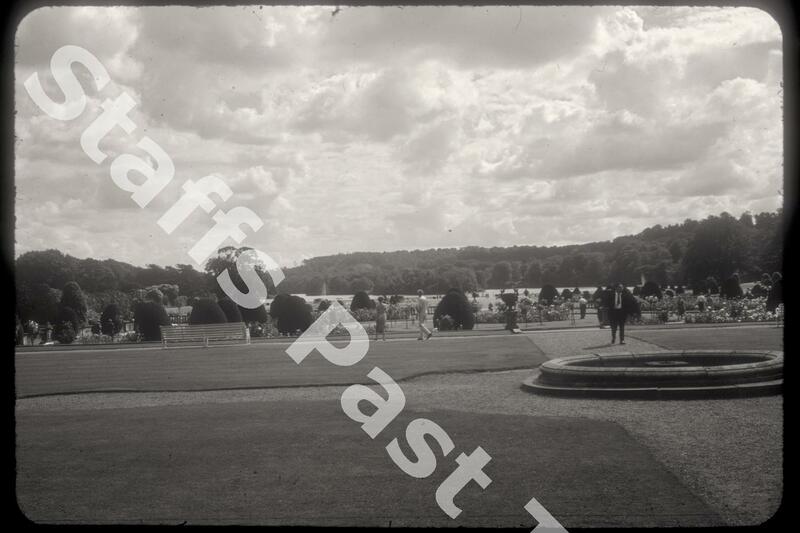 Description:Looking south from outside the church in Trentham Gardens towards the Terrace and Italian Gardens and lake. The rose or Terrace Garden leads to the Italian Garden by a short flight of stone steps. 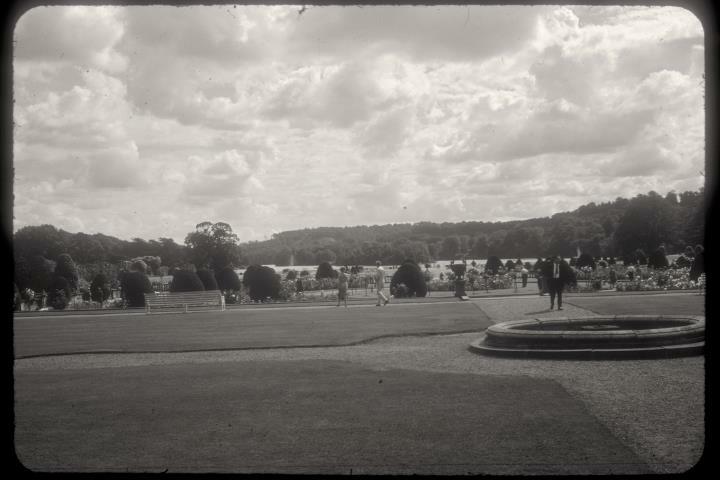 Called the Parterre Garden in 1857, the terrace was divided into four large flower beds with a central bed and fountain. In the photograph, these are grassed over. The Italian Garden beyond stretches nearly 200 yards to the edge of the lake. Lancelot "Capability" Brown worked on the landscape between 1759 and 1780, expanding the lake and creating the large island at the northern end.